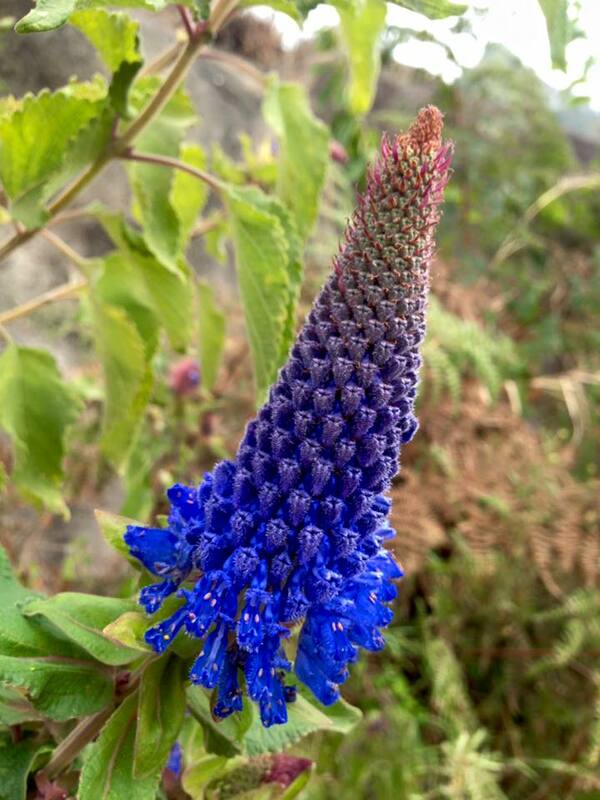 What is this African shrub with spikes of brilliant blue flowers? I'd love to have something at home so brilliant, but obviously I have no idea what it is. My first thought was of some kind of lupine, but the gradual shift from brilliant blue to muted pink and the shape of the petals seemed uncharacteristic of any of the lupinus flowers I've seen. The only other information I can provide is that this was taken somewhere near Dedza, in Africa, and that it appears to just be the flowering tip of a larger plant or tree. 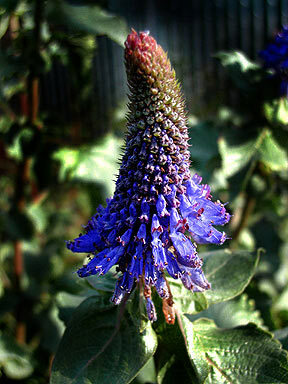 Pycnostachys urticifolia, more commonly called Blue Witches Hat. Stunning, bright cobalt blue, “Witch’s Hat” blooms delight us Fall through early Spring on this easy-to-grow, evergreen perennial/shrub from South Africa. Fast growing to 4’ or 5’ tall & almost as wide, it creates a multi-branching shrub, eventually forming quite a solid, woody, main trunk. Not the answer you're looking for? Browse other questions tagged identification flowers or ask your own question. What is this plant with spikes of purple flowers? What is this 2' high plant with curved spikes of white flowers, growing in eastern Massachusetts? What is this South African plant with broad, waxy leaves and shiny berries that ripen to red? What is this climbing plant with blue flowers? What is this horizontally growing weed with blue flowers? What is this shrub-looking plant with large pink flowers? What is this shrub with clumps of small white flowers? What is this pungent plant with spikes of purple flowers? What is this plant with bee-attracting small blue flowers?